Minnesota Court of Appeals Clarifies Procedure for Mandatory Buy-Out of Minority Shareholder Interests Pursuant to a Motion - Trepanier MacGillis Battina P.A. 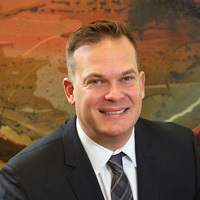 Minnesota shareholder dispute attorney Bryan R. Battina represents businesses and individuals in commercial litigation, real estate litigation, business law matters, and shareholder disputes. Bryan may be reached at 612.455.0500 or bbattina@trepanierlaw.com. Trepanier MacGillis Battina P.A. is a Minnesota shareholder dispute law firm located in Minneapolis, Minnesota. Which Corporate Documents are Shareholders Entitled to Examine?